August 3rd marks the day that Kansas City Chiefs tickets go on sale. However, Jackson County, Missouri residents will get to purchase tickets 2 days earlier with tickets for those residents going on say on August 1st. For fans interested in purchasing tickets, they can do so either by either contacting the Ticketmaster box office, or by visiting the company’s website or outlet. Tickets may also be purchased at the Arrowhead Stadium Ticket Office. Jackson County residents are allowed to purchase their tickets before other fans because their taxes fund the stadium. On both August 1st and 2nd, Jackson Country residents can pick up their tickets at either Arrowhead Stadium ticket office between the hours of 10 a.m. and 5 p.m. or at the Ticketmaster Outlet. Because proof of residency must be shown, online and phone orders will not be allowed to be placed. Spouses who live at the same address are able to buy tickets as long as the property tax receipt presented includes their spouse’s name. To keep up with tradition, the Arrowhead games against the Pittsburgh Steelers and Green Bay Packers will be sold as a 2-pack for both Upper and Lower levels. 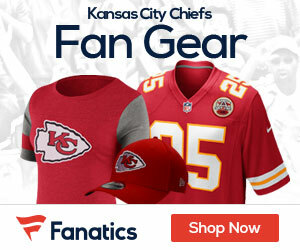 2 Packs are already available and may be purchased online at kcchiefs.com. Tickets for home games start at $30 which is fairly reasonable; however, the recent Royals Ticket Giveaway funded by StorageMart of Kansas City has KC Chiefs fans wondering if the company will do the same for avid football fans. Through the StorageMart Kansas City Facebook page, Royals fans were able to submit their information to receive free tickets to great games. Chiefs fans would surely appreciate the same type of sweepstakes as some higher level tickets can easily reach $100 or more. Who wouldn’t love to win tickets to the Chiefs vs. Raiders game? Or the Chiefs vs. Broncos game? It doesn’t look like free tickets will be passed out anytime soon, unfortunately. So for Chiefs fans eager to get the best seats possible, they need to prepare themselves for August 3rd, or August 1st if they have a friend residing in Jackson County.